The defining line between good debt vs bad debt depends on what a debt gets you in the long run. The debate over good debt vs bad debt runs rampant online. And not everyone agrees on how those terms should be used for specific types of loans and credit. But there is a distinct defining line that separates good debt from bad debt, and it’s all about what a debt does for you long-term. This page explains how to separate good debt from bad debt, and what each of them means for your budget. We also explain how even good debt can go bad, and what to do when it does. The defining line between good versus bad is what a debt provides you in long-term. Good debts give you something that benefits your life overall. You basically have something of value that you keep even after you pay the debt off. By contrast, bad debt doesn’t give you long-term benefits. It just gives you debt. But that line can be a bit confusing. You may feel like you get something from a bad debt. For instance, if you use a credit card to purchase an HDTV, you get something tangible of value – the television. But the value of that property decreases significantly over time. It’s not like a house, where the value of the property generally increases over time. That’s why a mortgage is a good debt. Things get even more confusing when you get to auto loans. The value of a new car depreciates quickly as soon as you drive it off the lot. You’ll never be able to sell the car and recoup all the money you put towards your auto loan. So, you don’t really get something of value long-term. But an auto loan used to finance the purchase of a classic car would be different because the value of the vehicle doesn’t depreciate in the same way. So, some auto loans can be considered good debt. This chart provides a basic breakdown of which debts count as good and which debts count as bad. We explain more about why each type of debt falls where it does below. A mortgage is always considered a good debt. In fact, it’s pretty much the best debt you can take on. That’s because property always has value, and that value generally increases over time. So, you buy a house this year with a 15-year mortgage. You pay off most of the mortgage and sell the house 10 years from now. Not only will you recoup the money you spent on the debt, but you’ll also most likely turn a profit. You can also think of it this way. A home is usually a homeowner’s biggest asset. Net worth is calculated by subtracting your total liabilities (i.e. your debts) from your total assets. Outside of housing marketing crashes, the value of most people’s homes is higher than what they owe on their mortgages. Thus, a home usually increases a person’s net worth. That’s what makes it a good debt. By contrast to a first mortgage, a second or third mortgage is usually considered bad debt. This includes home equity loans and Home Equity Lines of Credit (HELOCs). 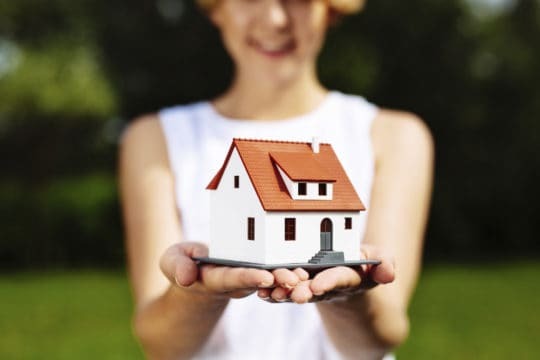 You’re basically borrowing against the value of your existing property. You decrease your net worth because you increase your liabilities without gaining a new asset. But there can be a gray area with home equity loans in some cases. The most common is using a home equity loan to renovate or make home improvements. Many improvements can significantly increase your property value. For instance, let’s say you add a pool and outdoor patio to your single-family home. That increase the value of the property. Thus, in this case, the home equity loan could be considered a good debt. On the other hand, there are uses for equity that are considered bad because you don’t get anything long-term. 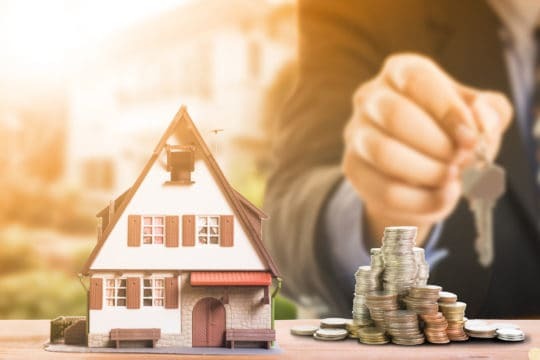 For instance, if you use a home equity loan to pay off credit card debt, then the home equity loan would be considered a bad debt. You’ve tapped an asset to simply convert unsecured credit card debt into secured mortgage debt. This creates a higher risk of foreclosure and decreases your net worth. So, in this case, the home loan would be a bad debt. We already explained briefly why auto loans can be good or bad debt. In most cases, they are bad debt because the value of the asset you receive from the loan depreciates quickly. At the same time, interest charges increase how much you pay for the vehicle. So, the cost is higher versus what it would be if you’d purchased the car outright with cash. And the value of that car drops quickly the minute it leaves the lot. The only time an auto loan is considered a good debt is if you purchase a car that can potentially increase in value. This is mostly limited to classic and collector cars. But even here, an auto loan can be a bad debt. If after the purchase you end up throwing money into the car that you can’t possibly recoup with a sale, then it would still be considered a bad debt. The asset just isn’t worth what you put into it. Whether you take out federal student loans or private, both are usually considered good debt. The reason is that getting a higher education and earning your degree typically significantly increases your lifetime earning potential. Each degree attained means you earn a bigger annual salary and have a greater ability to advance your career. More income means more opportunities to invest and increase your net worth. Thus, student loans are good debt. Of course, that added earning potential only happens if you graduate in your intended field. If you don’t graduate, then you have a lot of debt and no enhanced ability to pay it off. Therefore, it follows that student debt incurred without earning a degree would become a bad debt. You don’t get anything of value in return for the debt. It’s worth noting here that good debt doesn’t always mean easily managed debt. Even good debts can go bad if you can’t pay them. We talk more about when good debts go bad further down this page. No matter what you buy with a credit card, it’s almost always considered a bad debt. Credit cards have some of the highest interest rates of any type of debt you can hold (minus the payday loans we talk about below). If you make minimum payments, interest charges can double or even triple the cost of an item you purchase. And by and large, most of the things you purchase on credit don’t have any long-term resale value. So, no matter how good you think your reasons are for using a credit card, you’re still creating bad debt. And using credit cards to cover daily expenses in your budget or unplanned emergencies are really bad debt. You should be using income and savings to cover those things. That means that taking on debt to cover these daily needs is a sign of financial instability. The debt may help you make ends meet this month, but it’s only going to make your financial situation worse in the long run. 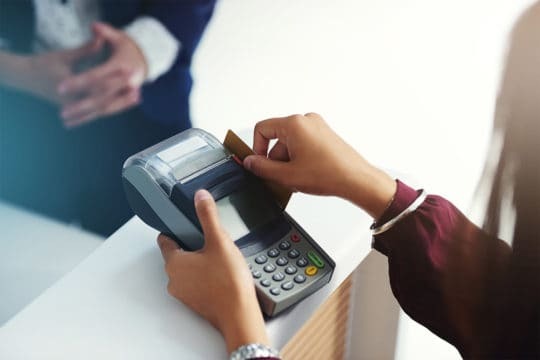 Of course, you may be able to come up with some credit card purchases that might be exceptions to getting something of tangible value. 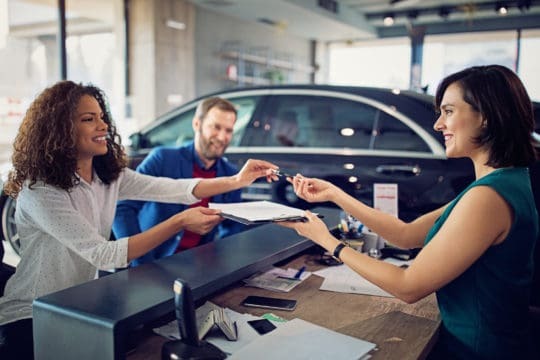 For instance, if you use a credit card to purchase antiques or art or a thoroughbred racehorse, all those things may have long-term resale value. They may also increase in value over time (your horse could win the Kentucky Derby). But even so, using credit cards to make the initial purchase would create a bad debt. The value of the object probably would be high enough to recoup the total cost of the credit card purchase within the timeframe when you pay the debt off. And you’d definitely be better off saving up to make these kinds of purchases to avoid the debt entirely. Short-term installment loans (the technical name for payday loans) are extremely bad debt. They never give you anything of tangible value – they’re almost always used to cover emergencies when you’re short on cash. And the interest rates are insanely high. Credit cards have average APR that runs between 16-18%. But payday loans generally have APR of 300% or more. You also pay finance charges that amount to about $30 for every $100 borrowed. So, the high cost combined with the lack of receiving anything of tangible long-term value mean payday loans are always a bad debt. 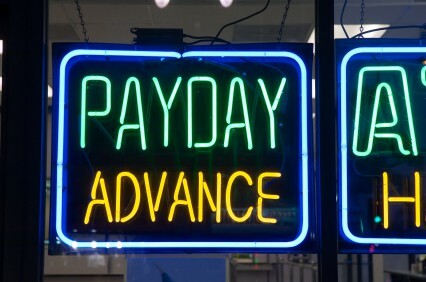 Don’t get stuck in the payday loan trap! If you’re having problems making ends meet, visit Debt.com’s Solutions Center now. This last type of loan is probably only familiar to you if you’ve been extremely strapped for cash. 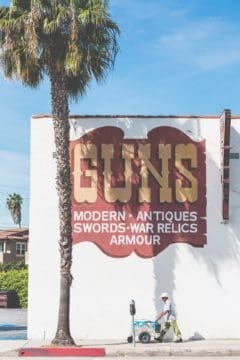 You take an item of value – anything from a firearm to expensive jewelry – to a pawn shop to get a loan. They assess the value of the object and give you money equal to its value. You have a certain amount of time to pay the money back or they have the right to sell the property that you put up as collateral. If you’ve been paying attention to our definition of good debt vs bad debt, it’s obvious where this one falls. You risk losing an asset that has tangible value, usually for a loan where the funds are used to cover an emergency. It’s a bad debt all around. Just because a debt is “good” it doesn’t mean that everything will be roses during the repayment period. Good debts can go very badly for your finances if you’re having problems making the payments. A default on a bad debt is usually very bad for your credit and financial outlook. Consider that a mortgage is one of the best debts you can have according to lenders. They like to see that you have a mortgage in your debt portfolio. It makes you highly “creditworthy.” By the same token, defaulting on your mortgage and facing foreclosure will be a huge hit to your credit. And you don’t just lose your biggest asset in foreclosure, you also need to find another roof over your head. This is why people always focus on paying their mortgage first. It’s the last debt that you want to go wrong. And if you’re having trouble with your mortgage payments, you need to find help ASAP. The first place to look is to find a local HUD-certified housing counselor. They’re trained to help homeowners avoid foreclosure. They know about local FHA programs which may offer solutions, such as mortgage payment assistance programs. And if the home can’t be saved, then they can help you make a plan for a “graceful exit.” In other words, you get out of the mortgage with the least credit and financial damage possible. This may involve solutions like an approved short sale or deed-in-lieu-of-foreclosure with the lender. If student loans are your good debt gone bad, you’re not alone. Student loans are now the second leading source of debt in the U.S. after mortgages. And millions of borrowers face the situation we describe as bad above – you take on the debt, but you don’t earn your degree. Looking at the statistics for student loan defaults, the people most likely to default are people who were forced to drop out for one reason or another. Students who attended a 2-year trade school are another group at risk because many of these schools don’t provide the career placement services they claim to provide when you enroll. Borrowers simply don’t get a job that’s worth the money they put in to go back to school. If this is the situation you face, there are still solutions you can use. If you have federal student loans, there’s no graduation requirement for using a federal repayment plan. In fact, there’s not any graduation requirement to use Public Service Loan Forgiveness. As long as you work in a qualified public service profession and meet the other eligibility requirements, you can use PSLF even if you dropped out. There are also private lenders that offer student loan refinancing options with no graduation requirement. 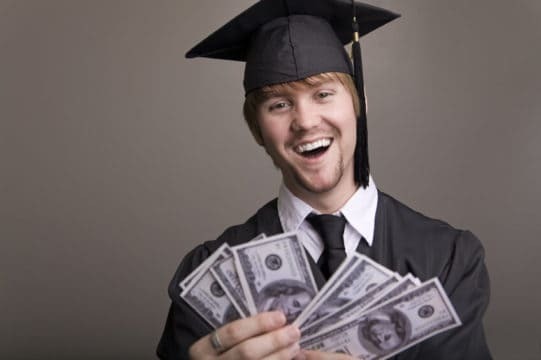 Some lenders require that you earn a degree in order to refinance your loans. But there are plenty of lenders out there (particularly online) that don’t have any such requirement. So, even if you didn’t graduate or didn’t get the salary you expected after graduation, you can still solve your problems with student loan debt. If you’re struggling to pay off your student loans, Debt.com can help you connect with the right solutions to get out of debt fast. Just like a good debt can go wrong in repayment, bad debts can be used for good purposes. Just because a debt doesn’t fit the definition of “good debt” it doesn’t mean that it can’t be good for you. And to be clear, bad debts aren’t even necessarily bad for your credit score. The diversity of your debt is one of the smallest scoring factors – it only counts for 10% of your score. But it still counts. And creditors like to see a diverse mix of debt. Ideally, they want you to have a few types of loans and several different credit cards. In other words, some of those bad debts look good to creditors; not payday or pawnshop loans – those are never good. But for the most part, creditors view bad debts as good as long as you keep up with the payments. So, should you take on “bad debt” and can you be okay with it? Do you have a real, immediate need for the item you will use the debt to purchase? Can you delay the purchase to avoid or minimize the debt, such as a larger down payment on an auto loan? Can you comfortably afford to pay the debt back – i.e. can you take on this debt without creating undue stress on your budget? 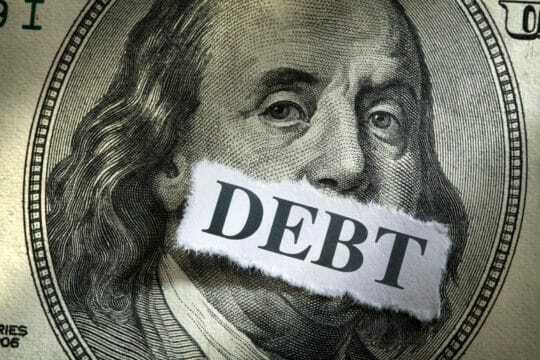 As long as you answer “yes” to the first and third question and “no” to the second, then the debt should be good for you, regardless of where it falls on the good debt vs bad debt spectrum. Article last modified on April 19, 2019. Published by Debt.com, LLC .